Good job. I would suggest trying out framing that isn't so tight, and experimenting with speedlights - even outdoors, they can add that tiny extra stop of light that can make the difference between flat and interesting lighting. The background is a safe and solid bet, so good job there. The texture of the hair, fabric, skin all looks good as well. 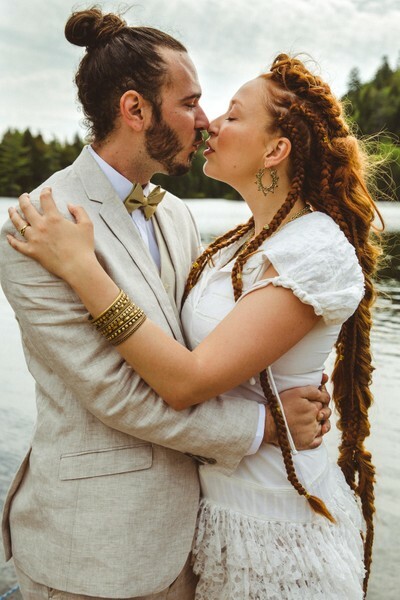 Jami & Marie Jade's unconventional and bohemian wedding.